Fantis Group is a real estate company specializing in the greater Salt Lake City and Park City first and second home markets. We built saltyhomes.com for a better solution to finding and saving homes. 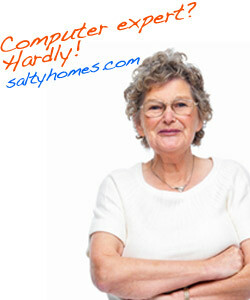 Saltyhomes.com is a free, user-friendly home search. Our approach to real estate is progressive, personal, and modern. While trends may have shifted to selling as many homes as possible with as little interaction with their clients as possible, the Fantis Group Salt Lake City Realtors focuses primarily on those relationships. Tony Fantis, Realtor®, is the principal broker of Fantis Group Real Estate and has sold hundreds of homes across the Wasatch Front, ranging from first time homes to multi-million residences. We would love to work with you on either the sale of your home or helping you buy the home that is right for you. Please feel free to contact us so we can work hard on your behalf to help smooth your relocation and protect your interests. We also have industry and local real estate news that you should look at. From Salt Lake City real estate trends to tax incentives that are available, we have a lot of articles that you may find helpful in purchasing or selling real estate. Local and proud. We are active in many local organizations including the Salt Lake City Chamber of Commerce, Local First, Vest Pocket, the National Association of Realtors and the Utah Association of Realtors . As a locally owned and operated business ourselves, we urge everyone to do what they can to help support other local business and strengthen the local economy. Please click on thelinks below to see other locally owned and operated Salt Lake City and Utah businesses.